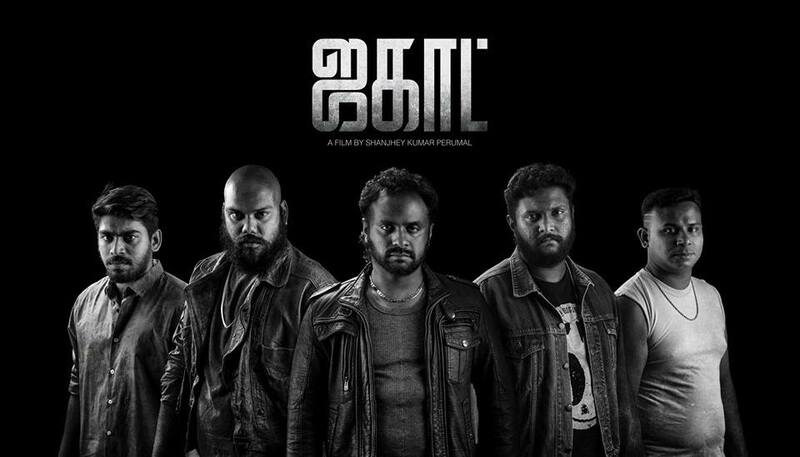 With the recent release of ‘Jagat’, Hassan Muthalib considers its position within current film canons. 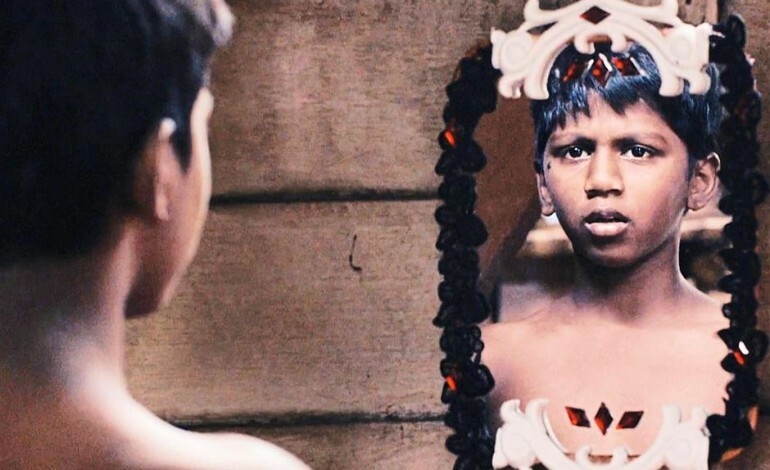 ‘Jagat’ by Sanjhey Kumar Perumal is a remarkable debut film after some wonderful shorts and documentary films by him. Minimalist in execution in terms of narrative and stylistics, Sanjay eschews back story and didactics to get across, dramatically, the problems that humans face in their journey through life as well as the right or wrong choices that they make. Which means that this is not a Tamil film but – a film! It is one that can be appreciated by anyone in any country because the problems and issues are similar. It is about a minority that is estranged and alienated, a situation brought about by the machinations of those in power and authority. Sanjhey successfully utilises indexes and symbols to get across his intentions not only through the plot but, more importantly, through the visuals, editing and music. In short, he is cinematic. In this, he is in the company of other exceptional local visual storytellers who have articulated issues facing Malaysian Indians (and are suitably subtle with it). Among them are Deepak Kumaran Menon with ‘Chemman Chaalai’ (‘The Gravel Road’) and ‘Chalanggai’ (Dancing Bells), Sandosh Kesavan with ‘Aandal’ (The Girl, Aandal), R. Prakash with ‘Vennira Irravughal’ (White Nights), K. Shun with ‘Sweet Dreams’, and Vimala Perumal with ‘Villayatu Pasange’ (Playful Folk) and ‘Vetti Pasangge’ (Nasty Folk). 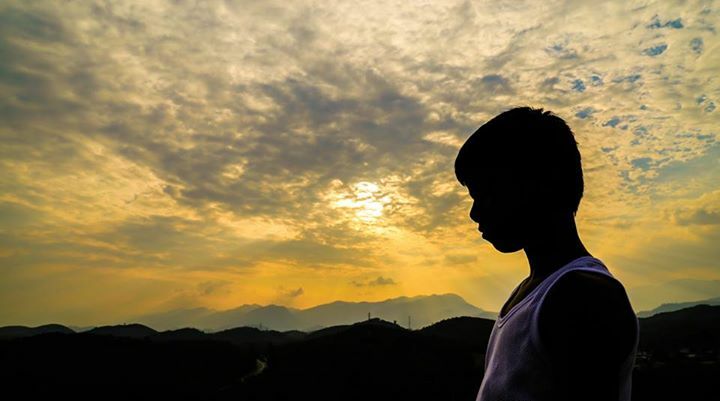 ‘Jagat’ is a story about Appoy (Harvind Raj), a 12-year old boy who lives in a remote town set in a valley in a Malaysia of the 1990s. The long cycle of Indians languishing in poverty in the rubber estates to which their forefathers had been brought to by the British imperialists has (supposedly) come to an end. 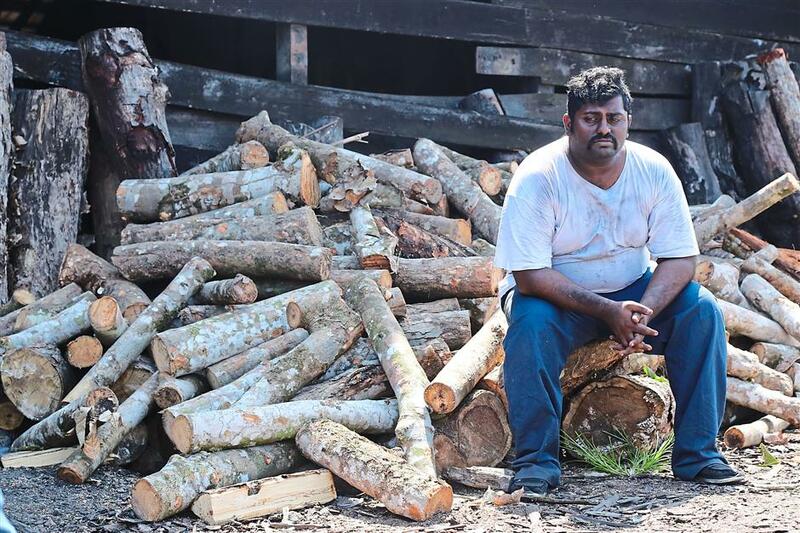 However, the Indian community there, which resides within a Chinese community, has been left high and dry with the selling off of the rubber estates. They have also been left out of the Government’s programme of restructuring society as espoused in the New Economic Policy that began in the early 1970s and thus, have been left to their own devices. 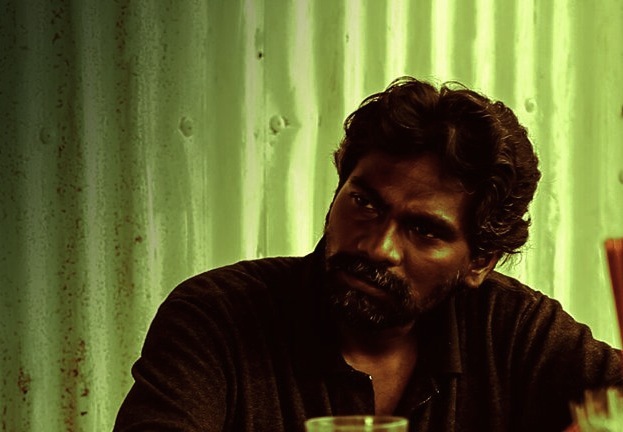 Appoy’s father, Maniam (Kuben Mahadevan), works at a charcoal-making factory while an uncle, Bala (Senthil Kumaran Muniandy) is a rehabilitated drug addict and former gangster who now works as a fisherman. A younger uncle, Durai (a.k.a. Mexico, played by Jibrail Rajhula) and some other youths, are gangsters who work for two rival Chinese gangs. Maniam tries hard – and certainly a little too hard – to make Appoy understand that education is the key to break the cycle of impoverishment of the family. He laments to his friends in the local coffee shop of how bad life was in the rubber estates and that he is done with it. The rubber estate is an environment that has recurred in a number of local films. In ‘Chemman Chaalai’, the rubber estate looms large and is made beautiful by the cinematography, but it is like a prison that pervades, preventing the young female protagonist from leaving and achieving her dreams in education. In ‘Aandal’, the female protagonist has managed to ‘escape’ from the milieu of the rubber estate but flounders in the city after being cheated by her handsome boyfriend and is forced by him to become a prostitute. In the other films mentioned above, the third or fourth generation of Malaysian Indians has made it in life, albeit at various levels. Their worlds are no more of extreme poverty or the struggle to live but are of how to cope with modern-day trials and tribulations. These filmmakers, in their own individual ways show how – either through presence or the lack of it – Indians have become estranged from their own religion and do not find the kind of solace that their forefathers had found in it. Shun and Vimala are two of the more optimistic filmmakers. In their respective films, they show that faith in religion and strong family support is what could help Indians in facing up to a troubling future. Shanjhey also comes to the same conclusion, but he is pessimistic. In the very first shot, which becomes the point of attack, Sanjhey shows Appoy, the young protagonist, walking towards the camera, rebellious and with anger boiling in him. In the background is the village temple. As the camera moves with Appoy, the temple becomes smaller and smaller, signifying how distanced he has become from his religion. In a later scene (a flashback), a Thaipusam procession goes past his house. Sanjhey again cleverly signifies the separation of Appoy from his religion. The camera is inside the house. Appoy is in silhouette (another negative index), as he stands gripping the fenced door and watches the procession go by. As a young boy, he should have been out there, participating in the revelry, but he is locked in by his father and forced to do his homework. In a juxtaposition of images, Sanjhey shows a scene of Appoy watching a South Indian movie on television – a fantasy world that contrasts with the real world just outside the door. However, even that world has been distorted. A quasi-religious festivity has been tainted. One of the Thaipusam devotees drinks alcohol during the procession! Thaipusam is not a religious duty but in this village, it has become dominant. We do not see them praying at the village temple. The absence of such a scene is a purposeful ellipsis, indicating the loss of spirituality of the community. Appoy’s mother, too, is never seen in religious duties but she follows the age-old custom of bathing Mexico to ward off any bad luck. Appoy is a creative lad, but the free spirit in him is not recognised by his father, mother nor his teacher. He is imaginative and wants to write a story about a flying pen. He is innovative and creates for his school project a Michael Jackson outfit that he makes out of plastic sheets. He thinks out of the box, but is thwarted by his father and teacher who are not in tune with the changing times. He is soon led astray by a local gangster, Chicago (Tinesh Sarathi Krishnan), who takes advantage of the situation. In such an environment, there is no way for a bright boy like Appoy to break away from the vicious cycle that the Indians are in. In this (as Santosh also observes in ‘Aandal’), Sanjhey is saying that the Indians are, in fact, their own worst enemies, and they have to recognise this if they want to succeed. South Indian cinema, to which many Indians are addicted to, cannot be a mirror for them to realise themselves. However, as in the words of Andre Bazin, films like ‘Jagat’ can be a mirror for us to look at ourselves through the on-screen depiction of the characters. Sanjhey points to this in one of the most poignant scenes of the film. Appoy looks into the mirror that was given as a gift to his uncle Bala by a girl, Maria, who he had been in love with. On top and at the bottom of the mirror are decorative designs, and Appoy (in the mirror) appears to be crowned and decorated. That is how children should be looked upon by their parents and teachers – as precious as the day they were born and not to be beaten or reviled. The scene perhaps also alludes to Bala’s lost love and poses many questions that are never answered. They do not require answers. In the context of present-day race relationships, the question arises: could she have been Malay? Was the breakup violent? Did it then result in Bala becoming a drug addict? Throughout the film, Sanjhey poses more questions. The characters in the story are descendants of those who toiled and sacrificed in the rubber estates and on roads to help build Malaysia. Will the ancestors rest peacefully in their graves if they knew what their children and grandchildren had become, and how they have been treated even by their own community and political leaders? It is a question similarly asked at the end of the films by Tan Chui Mui (‘Love Conquers All’) and by Charlotte Lim Lay Kuen (‘My Daughter’). The Chinese, too, are in the same predicament, but their tenacity has allowed them to succeed thus far. For both communities, the question can be asked: how long will this situation prevail? Will their voices be heard? When the late Yasmin Ahmad was asked why she chose a deaf and dumb Indian boy as her protagonist in her film, ‘Talentime’, she answered: “It is because the Indians have the least voice in Malaysian society.” Sanjhey questions the role of the elected politicians by using non-diegetic sound (a negative index). From off-screen we hear the voices of the Prime Minister at the time, Dr Mahathir Mohamad and Dato Seri Samy Velu (President of the Malaysian Indian Congress) mouthing support and help for the Indian community. It is now the millennium but the Indians are still beset with the same problems and there appears to be no light at the end of the tunnel. Sanjhey tells the story of ‘Jagat’ by using a flashback. The flashback here becomes functional. It is of what could have been. Nam Ron, in his film, ‘Jalan Pintas’, also uses the same device but it is something that occurs in the mind of the protagonist – of what could have happened if the protagonist had chosen a shortcut. Sanjhey shows us – and in extreme dramatic irony – of what could have been avoided if only we reflected upon what we were doing. He graphically shows us what a bad family, bad schooling and bad environment does to children. The cinema screen is indeed a window and Sanjhey reflects it for all of us. He does this cinematically. He mostly uses affection images (close shots) of his characters (Chinese and Indian). The only Malay in the film, a police informer, is in a loose shot, perhaps to show how separated the community is from Indian problems. Vimala also did this in ‘Villayatu Pasangge’. A friendly Malay stops to talk to the father of the protagonist, an Indian. However, he is always separated by a fence. In a juxtaposition of shots, humans in ‘Jagat’ are contrasted with expansive shots of rolling hills, a fishing village, the sky and forests. The almost claustrophobic close shots (of humans) with the wide shots (of the landscape) is a signifier of how the Indians who are in a bountiful land, have not taken advantage of it to better their lives. Not only are they separated from the teachings of their religion but also from the environment – which the industrious Chinese had taken advantage of to progress their community. For Sanjhey, the Chinese community also exerts a negative influence on Indians, especially if they are gangsters. They may have a code of honour, but a loss of identity occurs for the Indians once they become blood brothers. We never see them praying at their own Hindu altars or temple but they stand shoulder to shoulder and bow to Chinese gods! To make it ironic, Sanjhey includes a close shot of one of the statues of – that of the Chinese Monkey God. In Hindu culture and religion, Hanuman, also a Monkey God, is a revered figure that should have been their guiding light for them, but no, it is from another religion. How far have the Indians strayed from their path! The first shot of ‘Jagat’, as in all first shots of a well-made film, is a capsule of the entire story. It signifies what the story of ‘Jagat’ is all about, that it will end in a tragedy. The end of the film is a continuation of the beginning; it is a cycle and that vicious cycle will continue. The ending provides a kind of closure – but a negative one – and is depicted by an expansive rubbish dump with the accompaniment on the soundtrack of the cawing of crows. A bountiful country has been reduced to that of trash – and one’s own race is responsible for it! 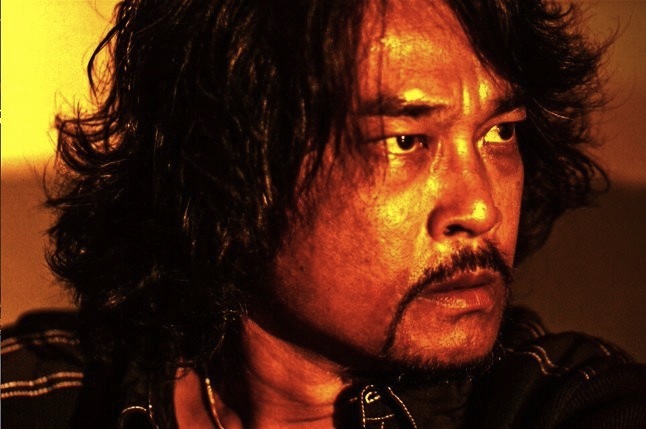 ‘Jagat’ is a labour of love for Sanjhey – not only for the young of his community but more importantly, for Malaysian cinema, a milieu into which he has thrust himself in. He did the casting and the production design. He knew that he had to get the right faces – faces that told a story without any dialogue. This is what the Russian director and theorist, Sergei Eisenstein, meant when he talked about ‘typage’, that every face had to be of a certain type, one whose character, experience and psychology was etched into. It is for the same reason that the great Japanese director, Yasujiro Ozu, would not shoot a film if he did not get the right kind of actors. Since there was minimal dialogue, Sanjhey knew he had to find the right faces and hence the numerous affection images. A clever casting is the two fat bullying schoolboys. The casting tells us that they are well fed and are obviously from a well-off family. And that says a lot of the kind of parents they have! Great stories emanate from personal experience and this is why ‘Jagat’ resonates with all those who have seen it. ‘Jagat’ moves slowly and is mostly silent, but the tension underneath can be strongly felt. It grips us and all the more so with Kamal Sabran’s, at times, ominous music that brings out the mindscape of the characters. A particularly powerful scene is the montage sequence when Appoy has been tied to a tree by his father. It works remarkably well with a shallow depth of field shot where characters in the background flit by like ghosts, totally distanced from Appoy and his confused state. What is in ‘Jagat’ comes from Sanjhey’s personal experience and observations. Sanjhey is a thinker and, like a literary writer, has penned a story. Then, like an artist, he created a canvas of images that we are watching but which are also looking back at us. This was the mark of the films of the great Swedish director Ingmar Bergman, where he used many close shots of characters looking silently at the camera. He noted that if you wanted to know what a filmmaker is actually saying, don’t look at what he is saying but instead, look at how he is saying it. This is what cinema is all about and Sanjhey Kumar Perumal has created a cinematic film that truly reaches out to touch our minds and hearts. ‘Jagat’ is a work that is timeless and will, I have no doubt, go on to enter the canons of world cinema. Check out the film’s website and like them on Facebook. Hassan previously wrote about ‘Nota’, ‘Sokola Rimba’, ‘Come Hell or High Water’ and Tuan Zain.